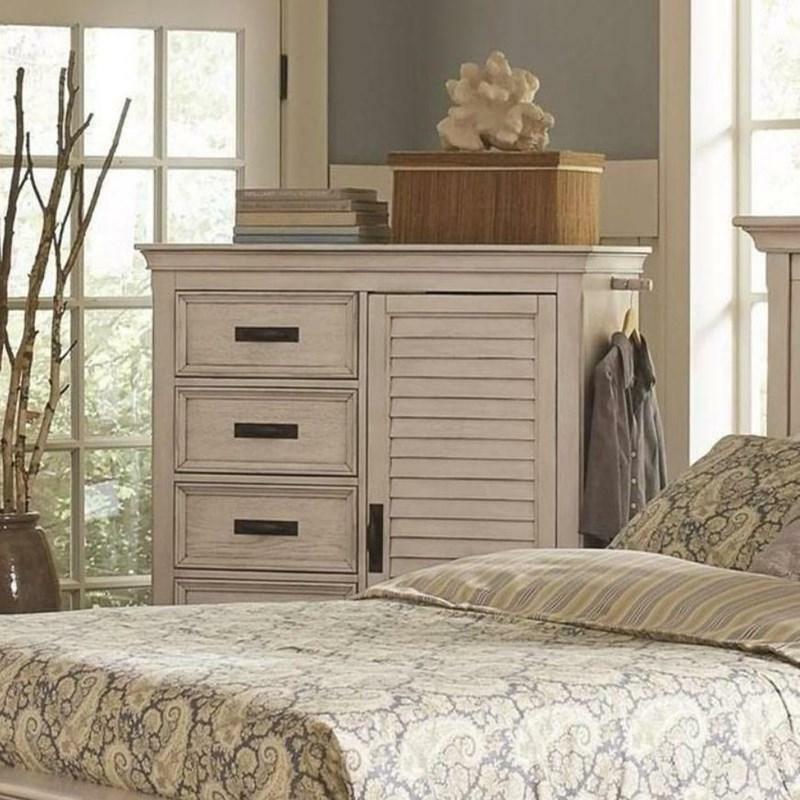 Bring a lovely coastal look to your bedroom and convenient storage by your bedside with the Franco Nightstand. 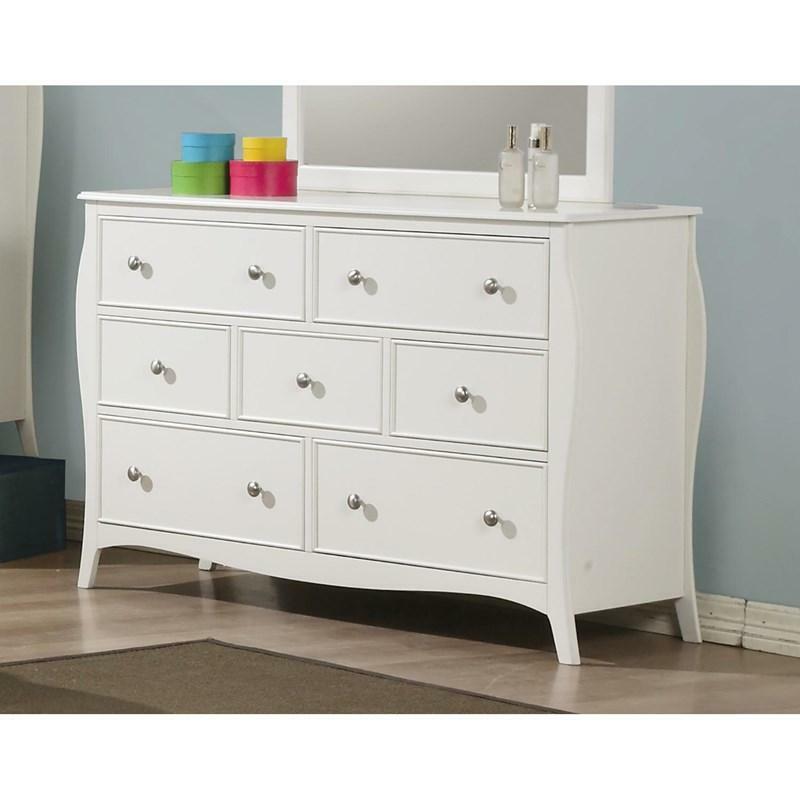 It comes in a charming antique white finish and offers two storage drawers, one pull-out serving tray and cord access for charging. 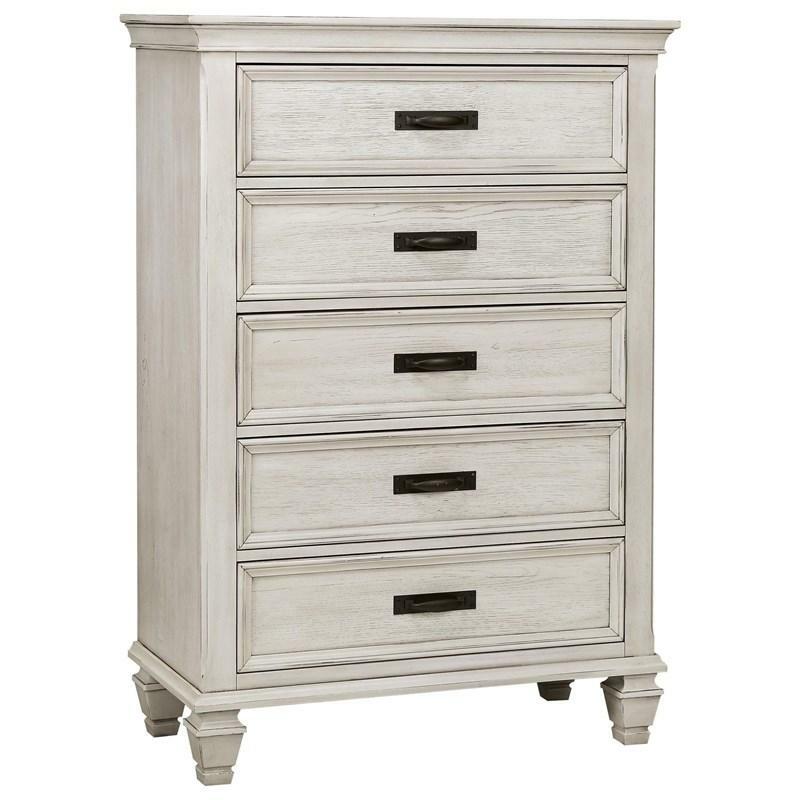 It stands on tapered feet and has nickel finished hardware. Volume 11 cu. ft. / 0.31 cu. 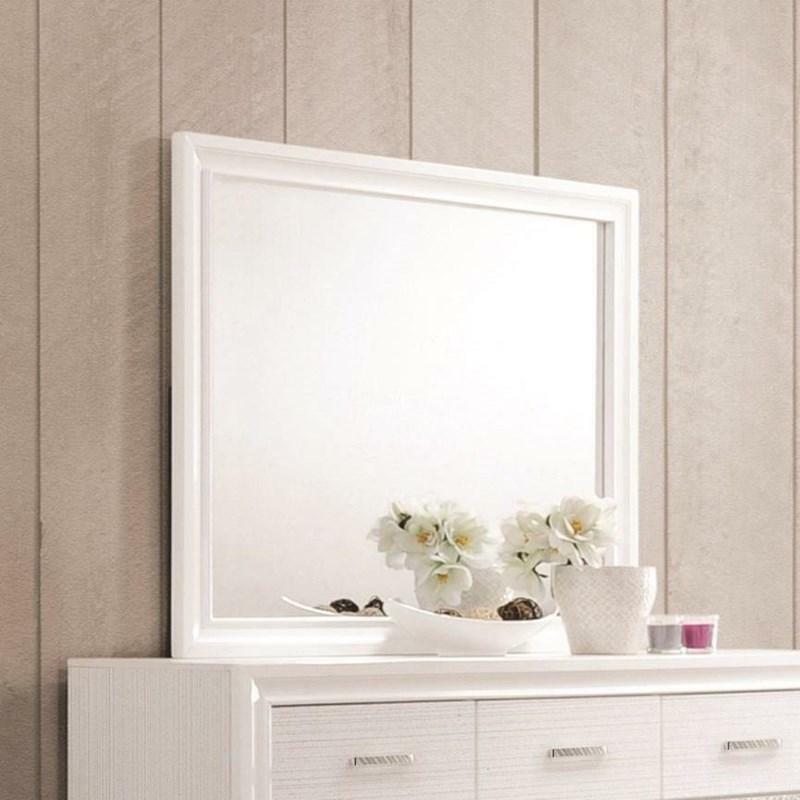 m.
The Franco Dresser Mirror has a wood frame in burnished oak finish with a crown top. 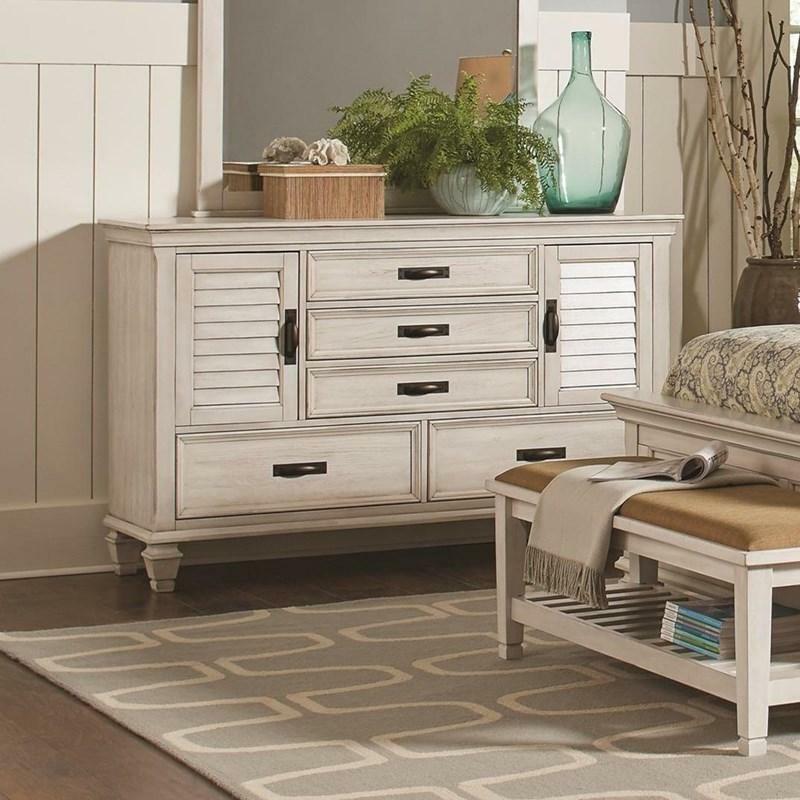 Add a coastal flair to your bedroom and ample storage with the Franco Dresser. 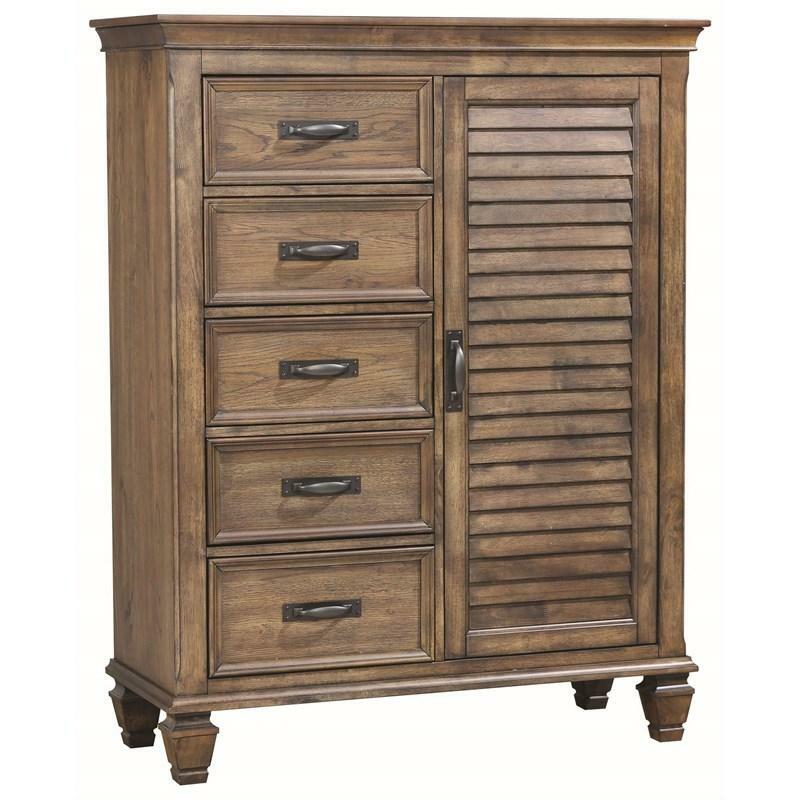 This beautiful storage piece comes in burnished oak finish and features five storage drawers, two louvered-paneled doors adorned with black finished pull handles. 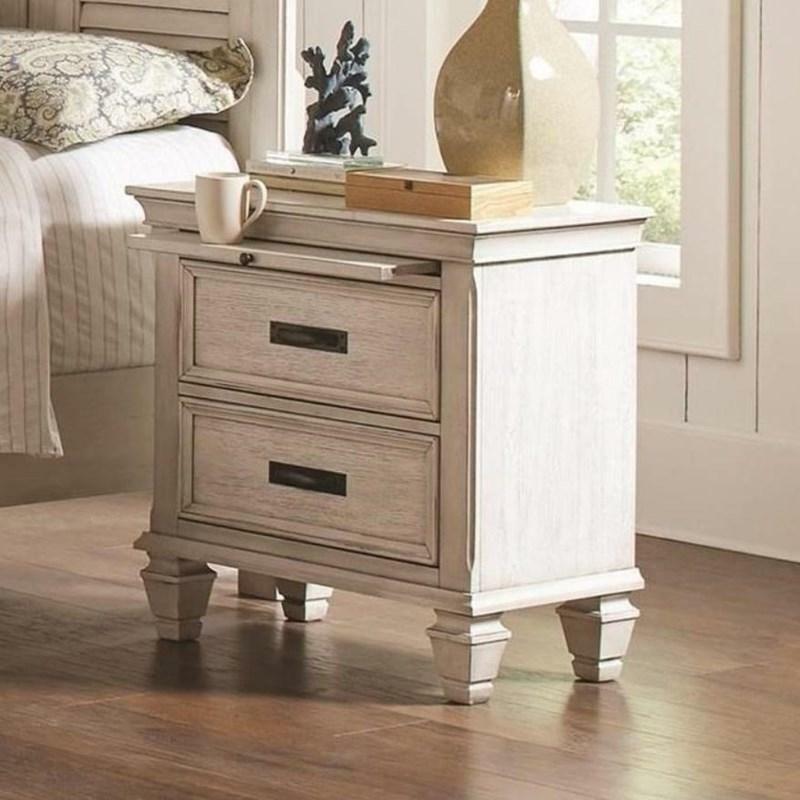 Rich burnished oak nightstand. 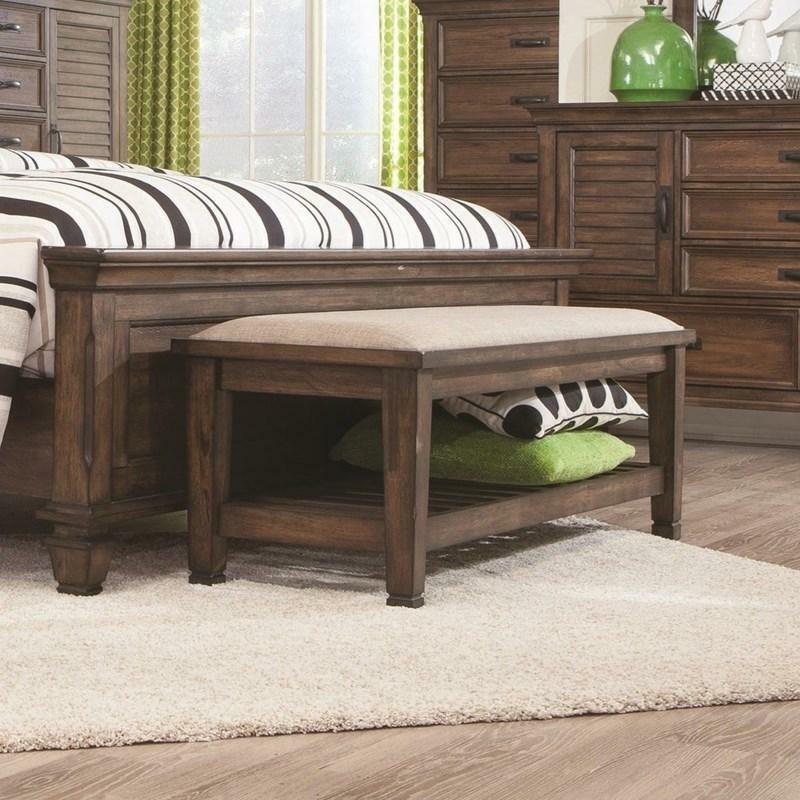 Features two drawers and an extra storage platform that pulls out from the top. 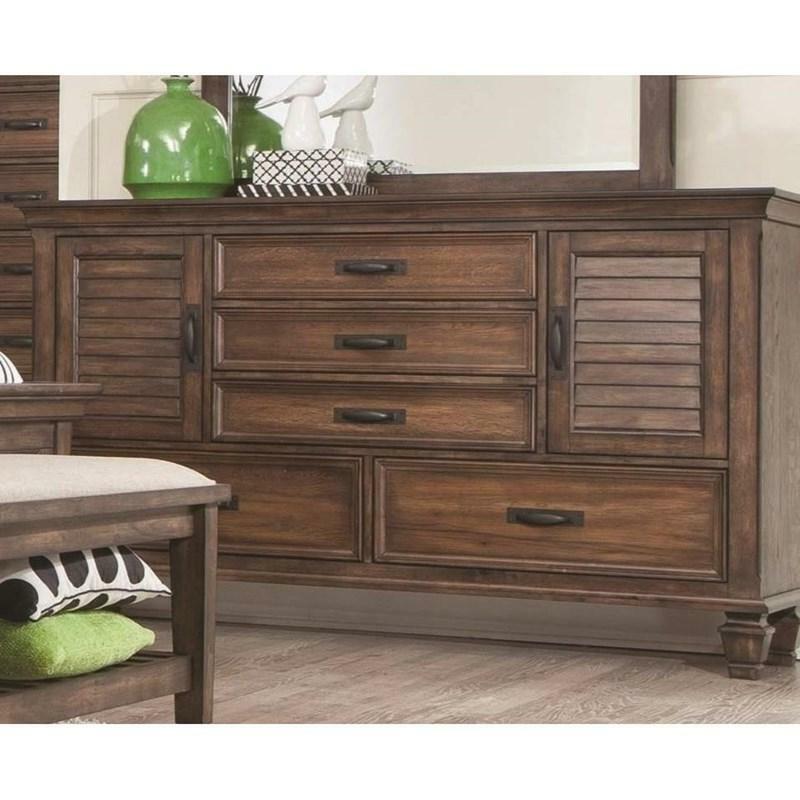 Also, provides power charging station in the top felt-line drawer. 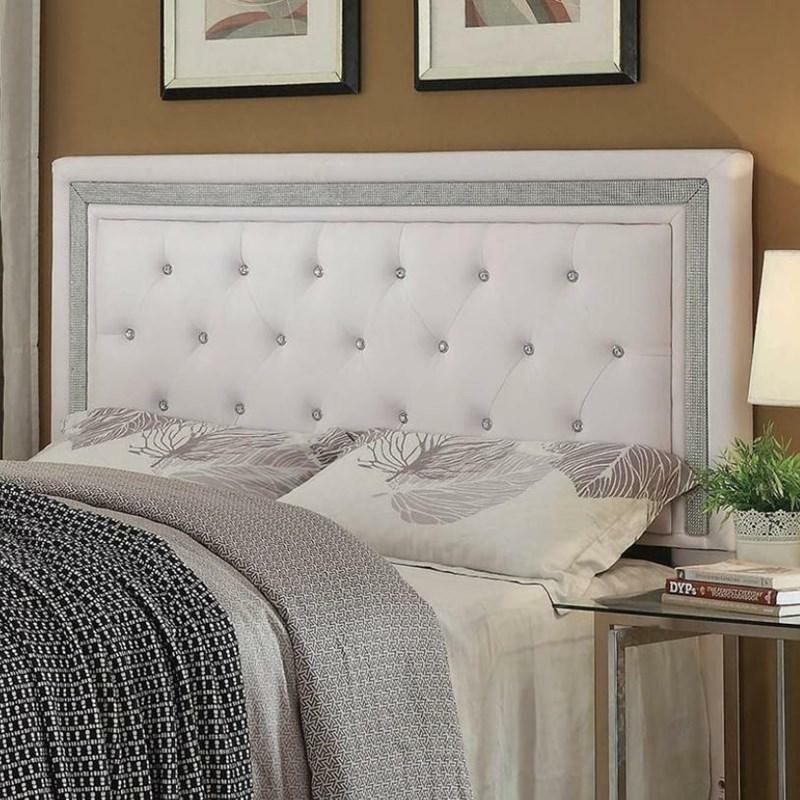 Come around to the idea of sleeping on a sophisticated, contemporary queen bed. 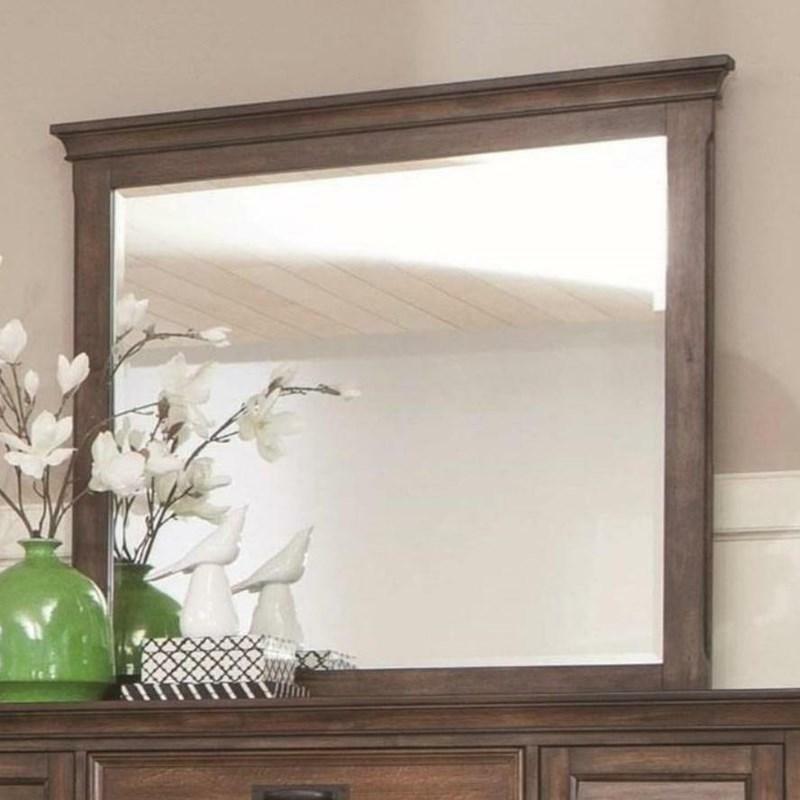 Crown molding outlines head and footboard in burnished oak finish.